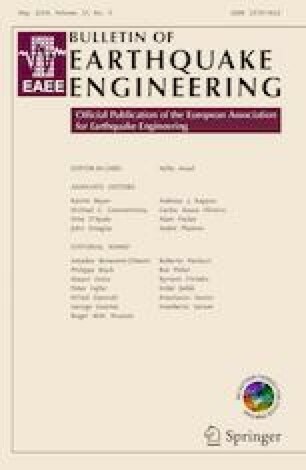 In this paper, a new yielding dissipater device is introduced for seismic protection of concentrically braced structures. The device is fabricated by a set of transverse plates inserted in the middle of a diagonal brace. The special configuration of the new device transforms the axial force of a concentric brace to pure bending in the dissipater plates. The dissipater plates are designed to bend inelastically over their whole surface to dissipate energy. Welding is avoided in the dissipater plates and consequently the ductile behavior of steel results in a good hysteric behavior of the new device. Experimental results of sixteen specimens of the proposed dissipater device show a stable hysteretic behavior of the brace and similar behavior in tension and compression. An analytical model is developed and verified to predict the behavior of the proposed dissipater.